ItemI-68043 - "Housing Enterprises Victoria Ltd., project 103, Nov 29/46; carpenter shop, warehouse and lumber stock; file 000358-0033. ItemG-04404D - The National Motors service motorcycle, Victoria. ItemI-02243 - Service station at National Motors Ltd., 819 Yates Street, Victoria. ItemI-01053 - Victoria; display in the millinery department of the Hudson's Bay Store. ItemI-01054 - Victoria; display of thermometers and barometers in the Hudson's Bay Store. ItemI-78454 - Miss Alice Ravenhill at the age of 86. ItemI-67873 - The BC Electric gas works, west side of Government Street at Pembroke, Victoria. ItemA-08960 - Interior of Shotbolt's Drugstore on Johnson Street, Victoria. 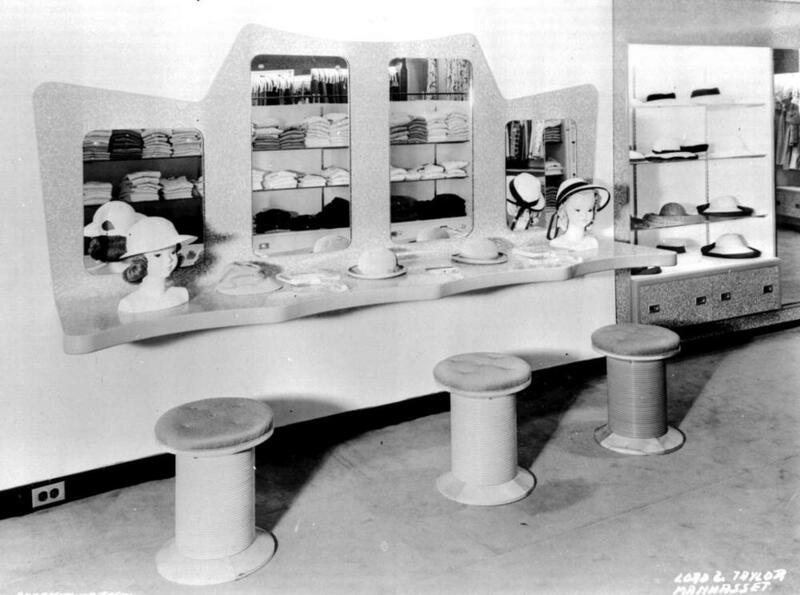 Item I-01053 - Victoria; display in the millinery department of the Hudson's Bay Store. Victoria; display in the millinery department of the Hudson's Bay Store.